I’m regularly complimented on how well I’ve coped with the changes and how “amazing” I am to have adapted so well. It’s great to hear this positive feedback and I gladly accept any compliments coming my way! It has been tough and I know I have done well. It’s nice that my achievements are ‘seen’. There is also so much unseen that I want to highlight (again). Because as ‘amazing’ as I might be, it’s hard for me to bear it…being in a hearing world where most people, including my own family, seem to be ill-prepared or un-prepared to respond or adapt themselves when I say “I’m sorry I can’t hear you can you speak up?…Pardon?…I can’t hear….what?……I still can’t hear…..I really need to you speak up….”. It’s a really lonely world to be in when you can see everyone’s mouths moving but you can’t hear them. It’s hard to need people to speak to you in a certain way in order to be able to be with them. And if they don’t speak up, what are we to do? Leave all the people and places we love, to go be alone where there is no-one to need anything from? It’s hard to see people laughing together but not have heard the joke. 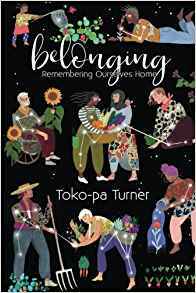 I’m re ading a beautiful book called ‘Belonging’ by Toko-oa Turner. She speaks about our innate need to belong, whether that be to a community, family, tradition, purpose, place or our own bodies. She speaks about how many of us are feeling quietly estranged, alienated and exiled in our modern culture. The great irony is that modern culture is suffering an epidemic of alienation, yet so many of us feel alone in our unbelonging, as if everyone else was inside of the thing that we alone are outside of. And keeping silent about our experience of estrangement is, in a large part what allows it to perpetuate” Toko-pa Turner. And perhaps no-where is this unbelonging more felt than when one has an illness or disability which prevents them from interacting with life in the same way as the majority of other people. Deafness is particularly isolating – though this could be easily remedied with cooperation from others. I want to speak up about it again. My mission in this post, is to somehow, in my own tiny way, raise a bit more awareness about hearing loss. It is my attempt to increase my sense of belonging in the world, with my friends, my family, my workmates and my wider networks. I know I can’t reach the many strangers I encounter each day who mumble words I’ll never hear, but at least if a few more of my own people, become more deaf-savvy then perhaps I will feel more accommodated and able to be me here in the world. And off course I want to acknowledge all the people who really DO make an effort to check I can hear. It means so much to me and I genuinely do notice every effort these kind, mindful souls make to accommodate and work with me. These are the times when I return to my blog to write out my quiet personal tragedy seeking solace and comfort. I’m so grateful to the great friends as well as the readers of this blog who are following my journey and cheering me on. Some will have a personal connection to what’s going on for me – whether that be hearing loss or other chronic illness or disability. My good ear has dropped further. I have had 10 days steroid pills and 2 in-ear injections and now the doctors just frown and say they don’t know what else to do, go away. It’s unusual for anyone to have this many hearing fluctuations. I’m left with nothing but my prayers, meditations and supplements for hope of an improvement. And this additional hearing loss means everyone is now EVEN further away and I’m struggling more than ever to interact with those people who talk to me as if I am a ‘normal double-eared’ person. Technically I have about 1/4 and 1/2 an ear right now! It’s actually a getting down on my knees plea…for the people who spend time with me, to help make this darn hearing loss work out better for me so I can stay socially, emotionally and psychologically intact! It’s a really hard thing to have to ask others for things. I’m a modern do-everything-myself woman who has never had to ask anyone for anything or rely on anyone. But communication and relationship are a two way street and the only way this is going to work is if the one doing the speaking speaks in a way which the hearer hears. And so I want to ask people, whether it’s those who spend time with me, or with anyone else who has hearing problems, to spare a moment to learn about hearing loss. By making tiny adaptations to better suit us half-eared ones you have the power to make the difference between us feeling included or excluded, helped or hindered, cared for or not, and as if our disability is a serious problem, or not. We have billions of cells in our inner ear which pick up different frequencies of sound. Different parts of the ears can be damaged meaning that people will lose the ability to hear certain frequencies to different degrees. Someone might be able to hear some sounds well but not others, hence why they keep asking you to repeat certain parts of the sentence. Any hearing loss is going to have a major impact on someone’s life and takes some adapting. Remember this because age related hearing loss is pretty inevitable and you will probably experience this at some point in your life. The majority of my hearing loss is in the moderate, severe and profound range. Looking at age profile hearing charts, my hearing is worse than someone who is in their 90’s! Luckily the rest of me is looking loads younger! This means that most sounds seem far away, faint, muffled and often distorted. I have profound hearing loss in the high frequencies and you can ring a chime in my face and I can’t hear a thing. Without my hearing aids in you would have to be close to me and speaking pretty darn loud for me to hear. This is what it sounds like. Listen to the severe/profound sections a few times to see what it’s like. There are a few things you can do to make it much easier for someone with hearing loss to hear you. FACE the person with half-ears so they can see your entire face. If you look away, they’ve lost those words. ARTICULATE Don’t forget to move your mouth. If you mumble, half-ears hear a stream of illegible sound. It’s like the sound is dribbling down your face rather than being sent over to the recipient. You don’t need to over-accentuate all your words as this contorts your mouth into unnatural shapes and makes you look silly, but do speak clearly. RAISE the volume of your voice. Don’t shout. Just turn it up a bit until they stop asking you to repeat. PROJECT Don’t shout, just project your voice to half-ear. Imagine that every word is a package, or a gift, that needs to be neatly delivered to the recipient. Not taken for granted that it will arrived once it’s dribbled out of the mouth. It needs some mindfulness. Wouldn’t the world be a better place though if we all took a bit more care in how we communicate to each other? GET CLOSE. Sound gets lost over space and time so get closer to half-ear so he or she doesn’t get the tail end of your very important ideas. REPEAT DIFFERENTLYif the word you are saying is not being understood, make your point with different words. Hearing aids are a godsend because without them I would be well and truly F…Flummoxed! But but they do not replace ears – not like glasses fix sight. What they do is magnify ALL the sounds around, through a very tiny speaker in the ear. One benefit is that my hearing aids act as wireless headphones because my top of the range hearing aids are able to receive Bluetooth sound from my phone. I’ve also got different equipment I can connect to my hearing aids to help me hear in different situations, but bear in mind that there is only so much they can do when there is loud background noise. They’re sadly not that great at maintaining the quality of music though. Imagine how great your home speaker system would sound if it was the size of a thumbnail. It’s not exactly bass rich. Anyway my ears just can’t pick up all the frequencies so music doesn’t sound so good anymore. It’s a real bummer. Hearing aids work really well in quiet surroundings but they’re not so great at helping us to hear speech when there is any background noise (which is like everywhere outside of empty rooms!) because they can’t discriminate what sounds we want to hear. Think about the way that you struggle to hear with other people when you are in a noisy pub. It is the same for us with hearing aids but happens with even tiny amounts of noise by your standards. So for example, the air conditioning units and fans in a supermarket, or the traffic on the road, is loud enough to make it more challenging for me to hear your words. I might feel the need to shout over it, and need you to speak much louder and clearer in order for me to hear, whereas you wouldn’t even notice these noises. It’s all to do with signal-to-noise ratio. You don’t need to know the science, just REMEMBERING that if there’s ANY background noise then I will be hearing less and will have to work much harder to hear (creates fatigue). You can help me out by COMMUNICATING LOUDER AND MORE CLEARLY. You might even GET CLOSER, or see if you can MINIMIZE, wait for them to stop or go somewhere else? If I tell people that I find the noise difficult (e.g. at a restaurant or dinner party) they sometimes suggest that I turn my hearing aids down. If I do that I can’t hear the other people either so why would I be there? Just to be pretty and watch how pretty everyone else is? I don’t think so. That would be boring and lonely. Try turning your eyes or ears off at a dinner party and see what that’s like! Lipreading is something that takes many many years to learn. Mostly it is people who are born deaf or who have been deafened for many years who learn to lip read. I wasn’t blessed with the ability to suddenly read lips when I suddenly lost my hearing, but I do need to always see your mouth because the shapes your mouth makes help me know when you are speaking and helps me add extra information to the often muffled and distorted sounds I hear. The more closely I am looking at your mouth the harder time I’m having hearing you. UNCOVER your mouth so that the sound gets to me and so I can read your lips. Don’t speak when chewing, drinking, coughing, sneezing or facing away. Please don’t whisper to me and expect me to lipread you. I still see it as some sort of magic to be able to do that! Apparently I “look normal” and I “don’t look deaf”. What do deaf people look like? I know it’s so easy to forget that I’m a hard of hearing because I STILL HAVE EARS! Luckily I haven’t had them removed yet, though frankly they don’t serve much purpose except hanging earrings on and making me not look like an alien. All the important equipment is inside near the brain not where you can see it. So I know I don’t LOOK deaf but please can you TRY to REMEMBER you are talking to someone who hasn’t got what you have. You’d throw a ball a bit differently to someone who didn’t have arms wouldn’t you. Not everything is visible! But you seem to hear fine! It might look like I hear you but it’s not always the case. If the conditions are optimal – which means that you are speaking very clearly, with volume and are close to me, AND there is no background noise, then I will probably be hearing you pretty good. But if there is ANY background noise (e.g. planes, cars, people, air conditioning, fans, music, birdsong, wind, traffic lights, kettle, TV, train etc), and/or, if you are mumbling, looking away, talking at normal/quiet volume, chewing, covering your mouth, talking over other people etc, then I am probably missing anything up to 100%. And truthfully, it gets to a point where most half-eared people like me, just smile and look like we know what’s going on even though we are completely lost because we’ve realized that asking for help hasn’t got us anywhere. There’s only so many times we want to repeat “What?..Pardon?…Sorry?…Can you speak up?…” before it gets really tiring, frustrating and upsetting. We don’t want to be a nuisance, nor appear stupid or deficient in some way. But I want to tell you that that’s a really lonely place to be. It’s empty…being with other people and not hearing what is being said. It’s like being the wrapping paper with no gift inside for anyone to receive. I don’t want to pretend anymore. I also don’t want to be the angry deaf girl – angry at life for excluding me from all the places I love to go when all I needed was for people to come closer and stop mumbling! Why not ASK if we can hear, or if there is anything that would help? Are we having the same conversation? The rest of the time, when it’s going well, I think I’ve heard what’s been said but am pretty much just piecing odd words together in whichever way my brain says is most rational. That’s hard work too as I’m doing a mental Krypton Factor to decode every sentence that’s not been clearly spoken to me. But how is it that even when someone asks me what I want to eat and I’ve said “yes”, or when they’ve told me they’ve paid the bill but I then go to pay it, still somehow, they don’t figure that I’m not really hearing very much! ling them? PAY ATTENTION. are we having the same conversation? How many times has the half-eared person asked you to repeat something? How many times have they said strange things that don’t make sense in the context of the conversation? if they’ve done it a few times, they’re struggling to hear so think about if you can do anything to make it easier (all the bullets above). So whenever I am out and about in conditions which are difficult (e.g. anywhere with background noise and/or people not speaking with deaf-awareness) I will be working hard to try and distinguish by visual clues, what the hell is going on around me, millisecond to millisecond. Where is the sound coming from? Who is speaking? I’m reading eyes, lips, gestures, body and environment. My eyes are busy all the time. All the while I’m trying to be myself, look normal and eat/drink etc. For a while, I can do this. But at some point, if I don’t get a break – either because its been easier to hear because people talk more deaf-aware, the background noise gets lowered, or because I just have some time of silence to recuperate – it will eventually drain the hell out of me. Metaphorically it’s like my running legs simply can’t run another lap and I just hit the ground. TAKE BREAKS. People with hearing loss who are trying to hear in unavoidably sub-optimal conditions, might need periods of time to be silent. No speaking, no listening, no background noises. Be okay with having some periods of silent (e.g. shut up for a few minutes) so they can recharge their brain power. Well at least you have peace! Deafness doesn’t mean peaceful silence. When someone has hearing loss they most likely also have tinnitus which is caused by the damage to the parts of ear and the effect on the brain. I don’t necessarily mean a faint hiss either, I’m talking about really, loud, sound. Tinnitus can be very difficult for people to cope with. It can fluctuate and change throughout the day and this noise can further affect how much that person can hear. Tinnitus can affect someone ability to sleep and can also make it tiring for people to talk over the for prolonged periods of time. Here are some different tinnitus sounds. None are really like mine but the closest sound is at 2:25. I have multiple pitches so its more of an orchestra of that type of sound. The hardest thing about hearing loss is being in groups. Everyone is talking over each other or having different conversations and it is impossible to hear anything over the noise. If there is banter or quick exchanges then by the time we have visually figured out who is talking, conversation has moved on. It’s noisy. In small groups in quiet situations it is most helpful if people SPEAK ONE AT A TIME. So long as there isn’t too much background noise, the half-eared should then be able to follow. In livelier, noisier groups, the half-eared person can only hear the people directly next to them so they should be the ones talking to them. If they don’t half-ear is going to be bored senseless. GET CLOSE and rotate who sits next to them so that half-ear gets a chance to speak to a few different people. 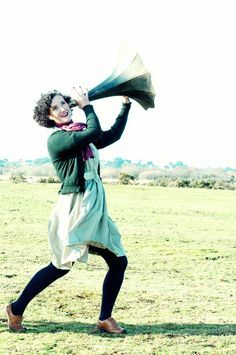 KEEP THE OVERALL NOISE DOWN of the group down or else half-ear isn’t going to even hear the people next to them and is going to go home early with a headache. Well if you got this far then I’m really impressed as this became a very long post. Thank you for taking the time to read and learn. If you have any tips or ideas for communicating hearing loss or helping people to respond and co-operate I’d love to hear. This is a good description for heart friends. I think living with a person who has fluctuating hearing loss is a difficult lesson of compassion. It is amazing when I do remember to turn and speak when I am so excited to see something way over there, describe what I seeing and point in that direction. We mostly look & point at something we want our friends to see. So for me, it’s about slowing down to make sure I am including John. Thank you for that beautiful post Candice. A friend of mine sent me this article and it was profound for her in having better insight in understandinf me. I’m profoundly deaf in both ears. Can hear with the help of two BTE power aids that are truly amazing, though as you point out, it’s not like it solves the problem. Speech comprehension in noise is the bane of my existence. Everything you mention would be truly helpful to have people do, though it’s really hard to get people to consistently do the things that you mention. Le sigh. All we can do is just persist. Not give up, unless the acoustic environment is hopeless, and then all we can do is deal as best we can with the isolation that occurs and the resulting emotional and psychological challenge. Acceptance is powerful, though gets tiring day after day. That said, you fall down, you get up, you learn and move on. Here’s a question for you. I do still go to parties and normally just have to corner individuals and talk in small groups when I can. Though it happens when other people join a discussion in which you were animatedly involved and then suddenly, with the now larger group, you can’t follow or engage anymore. I could say to the people, again ‘hey, I’m hard of hearing, speak up” et al, but I find this gets people uncomfortable and then causes silences and awkwardness. When you find yourself in a similar situation, what do you do? I know there’s no silver bullet, but clearly I need to do something different than I am, because it eventually causes me a lot of frustration and is depressing. Thoughts? Thanks again for taking the time to write this, I’ll be forwarding this on to people who I think would like the insight. Thanks for your message Kent. I’m so pleased to see this post is getting about and helping people in the way it was intended to! Maybe we would get more response if we were more lighthearted about it. How about ”I’m hard of hearing which means I can only hear the person closest to me. Who wants to get closer? Not all at once!” ? I’m starting to wonder if there is anything we can say in this situation which will create the conditions we need. People are naturally going to be enthusiastic in groups. I’m so sorry your on this journey too! I’m 26 and have been dizzy for 3 years. I’ve known about medical medium for over a year now and I’ve gone back and forth looking for simpler answers, I’ve had all the ear tests, neuro tests, neck guys, Chiro’s etc all of it. I do seem to have neck issues my vertigo/dizziness is constant. I have slight hearing loss but not noticeable, pretty bad neck aches, I vibrate on the inside at times if my nerves are really on edge, headaches, fatigue, vision problems. I can relate to you. It’s so hard not knowing for sure what it is and sticking to something. I’m at a lost. Every doctor says oh I know what it is…but can’t help. I think at this point we can only help ourselves. Don’t give up, you can do this. I’ve started medical medium again and I’m going to try my best, I’m so sick of being off balance!!! Feel free to email me if you ever need some support!